Playing around with your shutter speed can yield a wealth of different effects. Chris Eyre-Walker talks us through the basics of blurring and stopping motion. Using the manual settings on your camera can offer total freedom in how you capture movement. From freezing action in a baseball game to taking an abstract shot of a bird in flight that features both sharp and blurry elements, there’s a lot of room for creative license and showcasing your technical prowess. Every photograph can convey a sense of action and texture. When capturing motion shutter speed is your friend, and the way you utilise it will determine what the final shot looks like. The beauty of toying with this setting is that there’s no right or wrong way to do it. Here are a few different techniques to help take your travel shots to the next level. 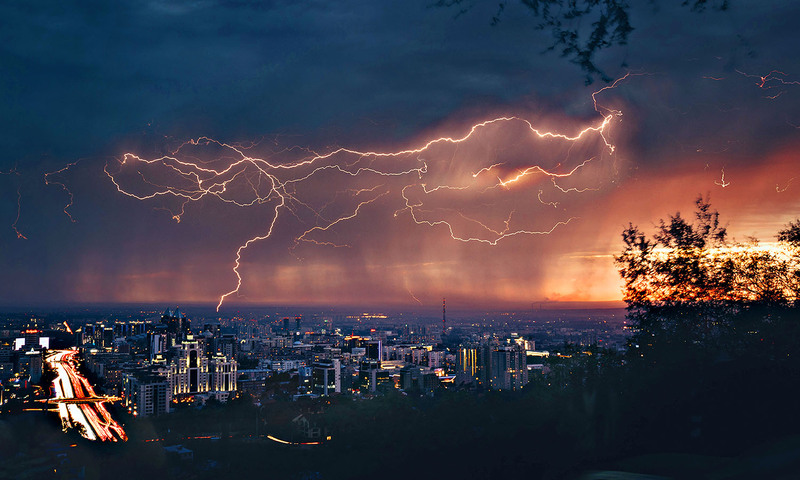 Keep the shutter open for several seconds to snap lightning thrashing the sky. Sometimes events pass so quickly we don’t even realise they happened. Most cameras are able to record a scene at up to 1/8000 second, while top of the range models can even capture up to 1/16000 second. That’s a split second of a moment! Most everyday situations, however, can be frozen in time with a shutter speed of around 1/1600 second. Catching action requires perfect timing. That’s why it’s always a good idea to switch your camera to burst mode when trying to photograph sharp scenes – this setting takes several images in quick succession, giving you a whole range of shots to choose from once the activity is over. The faster your burst rate, the more likely you are to secure that perfect snap. In general, this technique works best when the action taking place is lightning speed and can’t be seen in detail with the naked eye, such as a wave breaking, birds flying, or a sporting event. A quick shutter speed allows us to freeze a fraction of a moment in time, which otherwise might not have been noticed. Shutter speeds of 1/1600 second are great for freezing action. Blurring everything that moves and keeping anything static in focus is one of the most popular ways of portraying movement. It offers a beautiful sense of the passing of time. Even things that barely move can suddenly come alive. Landscape photographers often use this technique to declutter a scene by blurring moving water and making it look smooth. For this kind of shot you’d usually use a tripod with a remote trigger, but you can do away with this easy-to-lose device by downloading the Olympus Image Share app and shooting remotely with your phone. If you don’t have either of these you can make use of the camera’s two-second timer function to avoid camera shake. When travelling, remember any solid surface can potentially be a good tripod. 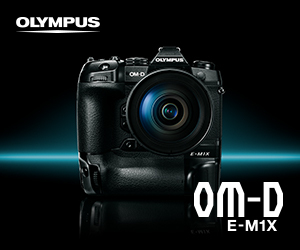 The Olympus OM-D series camera has a unique feature that lets you capture movement over a long period of time, called ‘live composition’ mode. You will see the shot build up on your camera’s screen as time passes. It’s a feature that I love using for exposures of more than 30 seconds – think star trails and storms. If you’ve got a different type of camera the bulb mode and a remote trigger will also do the trick. This allows you to override the 30-second (30”) shutter speed limit set on most DSLRs for as long as you lock the shutter button. The burst mode is your friend when it comes to capturing fleeting events. Panning is the most difficult of the three techniques, and it requires a steady hand. With a moderately slow shutter (1/10 to 1/50 second), aim your camera at the moving subject and follow it all while pressing the shutter down. It requires some practise and you’ll end up with a whole lot of images that won’t make the cut, but when you get it right it’s a very distinctive and beautiful way of documenting action. Everything that isn’t tracing the movement of the camera will suddenly be blurred and only the subject will be in focus. It gives a great sense of speed and your subject will appear to pop out of the image. This technique works well for objects that are travelling across your frame, either horizontally or vertically. I highly recommend experimenting with different shutter speeds and timing with this technique. Panning scooters passing by or people jogging makes for excellent practise. Want to step it up? Try the opposite: capture something static while you’re moving for a similar effect. Take a slow shutter shot from a train or car and try to keep your subject in the exact same spot in your frame and watch the world around it blur. Sometimes, a shot is all about movement even when there isn’t actually anything in motion in the photo. If the subject conveys a sense of action, sometimes it’s enough to just capture it as is: a shot from inside a car, out of a train window or of a person mid-stride are all good examples. We automatically get a sense of going somewhere just by looking at the image. Photos are all about telling a story, and recording movement helps make us feel as though we’re part of the journey. A good shot will make the viewer think beyond the moment captured and wonder about the context: what led to that very moment and what will happen next. Bring the viewer along for the ride.